It is my great pleasure to welcome my guest author today, Penny Brown Estelle. She's graciously shared a little about life in Arizona, and about her book, which is part of the American Mail Order Brides Series that I've been featuring each day. Her book, Hannah: Bride of Iowa, comes out on Dec 17th! Living The Dream – Sarcasm??? I have written a couple posts on my life in rural Arizona and living with no electricity. We have solar and wind generators. It’s been quite an adjustment for this city girl. I retired six years ago after living in the big city all my life. I told my hubby he had two years to make me love it or he needed to promise to move me back to the good life. Well little did I know, this yahoo kind of life was the good life. There is one thing I can’t seem to get a handle on. The annihilation of snakes and mice (or rats) in the area. When we first bought this property we were moving some wood and I said, “Oh my look, a baby bunny..uhm..with a really long skinny tale!” No, it was a pack rat – a HUGE pack rat. I have come to hate these things and in the six years we have been up here, they seem to have moved on to find other living arrangements. The other visitors that drop in uninvited are the rattlesnakes – Diamondbacks and Mohave greens. We are indeed lucky enough to have seen them all. One day, my husband called me out and said, “I am moving the truck and there is a rattler underneath.” He handed me the gun that always has the first three shots loaded with snake shot. For those that don’t know, snake shot shoot a 3 – 5 inch circumference. He moved the truck and I started blasting, empting the gun. He ended up crawling away but I know he was wounded! Apparently I need work on target shooting! I have also learned NOT to shoot the bull or king snakes. They eat the mice, rats, etc. The only problem there is they look an awful lot like rattlers, so when they appear out of nowhere, another 5 years is taken off my life. My life continues to get shorter and shorter. Living this rural does give me a lot of time for my writing. 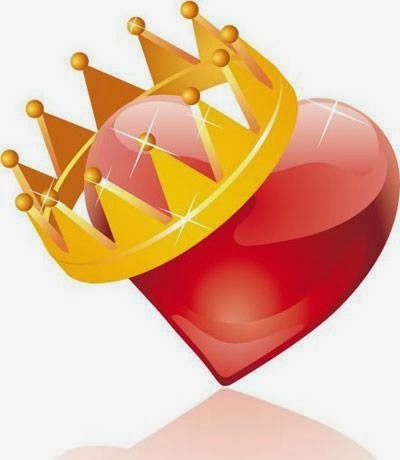 I was so honored when a group of authors asked me to be involved in writing project that would have 50 stories about 50 mail order brides in all 50 states in the good old USA. All stories needed to be staged in 1890. I jumped at the chance, and asked for Iowa. I was born in Iowa and lived in West Liberty, where my story, Hannah, Bride of Iowa, takes place. Samuel Morrison, a farmer from Iowa, is in need of a wife and a mother for Lizzie, his three-year old daughter. He reads an article from Massachusetts advertising mail order brides. He writes to the agency stating he’s looking for a partner who will work by his side and, hopefully, come to care for him and be a loving mother to Lizzie. Hannah Brown responds to his letter. Though she doesn’t say too much about herself, Samuel decides to take a chance and asks her to come to Iowa. This woman is everything he wants in a wife and more -- or so he thinks. Hannah has a secret that, if revealed, could devastate their future. If Hannah tells Samuel, would he send her away? She could lose all she’s come to cherish. Is Hannah willing to take that chance? Emma’s backhand connected with her daughter’s cheek. Shocked, Maddie brought her hand up to her face. She could not remember her mother ever striking her. Angry tears filled Maddie’s green eyes. “I won’t go!” She threw open the door and ran out, pushing her soon to be step-father out of the way. 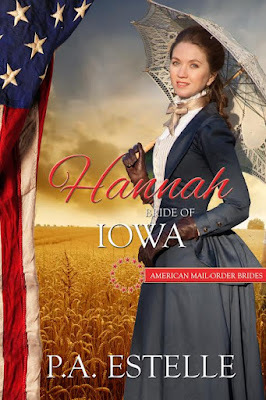 Hannah, Bride of Iowa, comes out on December 17, but can be preordered now! Peggy, thank you so much for letting me barge in today! I sure do appreciate it! I think this American Mail Order Bride series is such a wonderful idea. I am hoping to read every single story. Congrats on being part of it and look forward to reading Hannah's story. Thanks for sharing, Penny! While I might have fun blasting them, I don't think I want to live near the rats and rattlesnakes! I'll keep my snow in Michigan and native critters here. Can't wait to read the full Bride of Iowa - all the books so far have been an enjoyable, fun read and I'm really enjoying the series.